Detroit Electric’s Chief Technical Officer and Company Director Richie Frost, is in the advanced stages of laying the foundations for the company to become a major UK automotive employer. 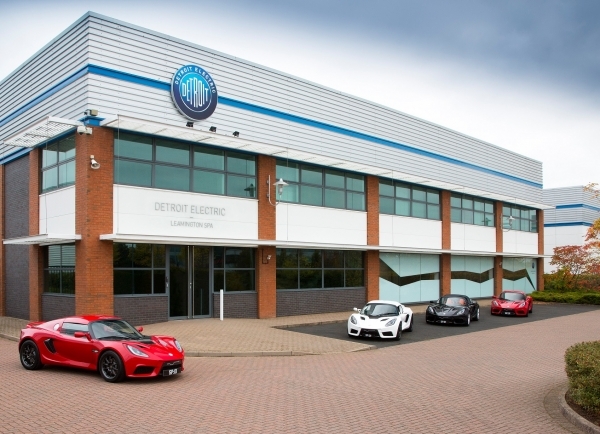 The renowned electric vehicle engineer, who joined Detroit Electric in November to oversee the UK technical and engineering activities of the company, has already started a recruitment drive to ensure that the best senior team is in place, following the recent announcement of an injection of US$1.8 billion in capital from a joint venture agreement. “This will make us one of the automotive super-employers in the region, and our state-of-the-art engineering and manufacturing centre will be producing world-class electric vehicles for export to global markets,” said Frost. Detriot Electric’s recently signed joint venture agreement secured $1.8 billion dollars of investment capital, of which $370million (£298million) will fund Detroit Electric’s European operations over the next four years. Initially, this will allow the completion of the final homologation phase of its all-electric SP:01 sports car and the start of production at Leamington Spa. In parallel, the expanded engineering teams will develop three exciting all-new models over the coming three years, all incorporating Detroit Electric’s proprietary electric drivetrain system. Detroit Electric was revived in 2008 by Albert Lam, former Group CEO of the Lotus Engineering Group and Executive Director of Lotus Cars, with a vision to produce an electric vehicle that seamlessly integrates refined aesthetics, innovative technology and superior handling and performance. The company’s first production vehicle, a high-performance pure electric sports car will begin production later this year. The cars will primarily be manufactured in a new, dedicated Detroit Electric production facility in Leamington Spa.